ISP blocking has become a prime measure for the entertainment industries to target pirate sites on the Internet. In recent years sites have been blocked throughout Europe, Asia, Latin America, and even Down Under. The first blocking order was issued by a Danish court in 2006 against the music download store AllOfMP3 and, after two years, local ISPs were also the first to block The Pirate Bay. These efforts were later followed by similar orders in the UK, Belgium and other European countries, with the rest of the world following behind. During an anti-piracy conference in France this week, Hollywood’s Motion Picture Association (MPA) provided an overview of the progress thus far. Okke Delfos Visser, head of MPA’s legal department in the EMEA region, informed the audience that pirate sites are now blocked in 31 countries around the globe. As the map below shows, the list is dominated by European countries. 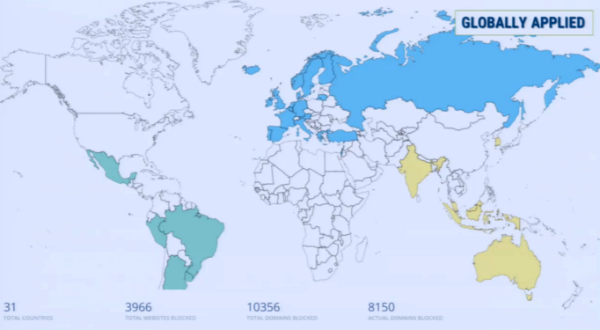 Together, Internet providers in these countries block a total of 3,966 websites and 8,150 ‘actual’ domain names. The map above also reveals some blocking ‘holes.’ Africa, for example, is still completely blank. Similarly, the United States and Canada remain block-free as well, although there are calls to change this moving forward. Western Europe is the best-covered area. However, the MPA’s presentation revealed that there are significant differences in the scope of the blockades there. 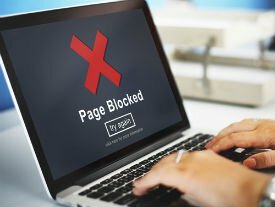 Portugal and Italy appear to be most thorough, with 944 and 855 blocked websites respectively. The Netherlands and Lithuania, meanwhile, are stuck on one site, as shown below. Not all pirate site blockades take place through the courts. In Italy, Russia, and Portugal, for example, there are administrative procedures in place through which sites are blocked. Roughly 42% of the global blocking proceedings take place through administrative procedures, and civil (53%) and criminal court cases (5%) make up the rest. What’s clear though, is that site blocking is becoming more and more prevalent. 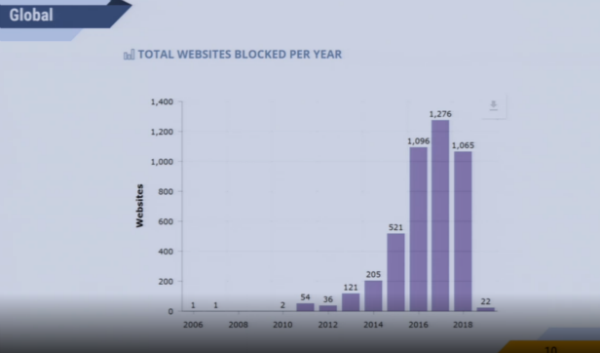 During the first ten years there were less than 1,000 sites blocked, but over the past three years, more than 3,000 new sites were added to the global total. The burning question is whether these efforts actually help to decrease piracy rates. It is no secret that dedicated pirates have plenty of options to circumvent them, but the MPA points out that, on the whole, site blocking works. In his presentation, Visser cited several studies and polls that back this up. While it’s no silver bullet, site blocking leads to fewer visits to the targeted sites, it decreases overall piracy rates, and drives some casual pirates to legal options instead. The presentation and figures will undoubtedly be used to expand site blocking efforts even further. Canada and the United States appear to be the most high profile targets. But, history has shown that it’s a rather sensitive issue there, so it’s likely to meet some fierce resistance.